There is something deeply shattering about the death of a child. And further shattering is the hidden-ness some of these deaths take place in. Words can not adequately express the experience, or the meaning of these events. There is, however, much that can be said in hindsight to console and help those who in present trials have to face the all too common and inevitable starkness of the death of their own little ones. In the calendar of modern secular ritual, October is a time for ‘pregnancy, infant or child-loss’ remembrance. There is actually a day now set apart for this in the United States: October 15th, and it is, unfortunately, a politically charged and therefore largely unobserved one. Distinctions and debates aside, each of these loss ‘types’ refer to the loss of a child — age or stage of development is irrelevant in such tragedy — and the day itself serves a social purpose: secular remembrance rituals of this sort, varied, numerous, and limited as they are, create the space for otherwise un-engaged conversation, and this is a good thing. For those of us who have experienced the death of our children, appointed remembrance is virtually unnecessary, as it is a perennially lived and present reality. As per the culture at large, if this is a way to honor hidden lives, the modern remembrance ritual is worth adopting and observing. So much for for the other side of October — the one beyond changing leaf color or apple-picking outings; beyond woolen sweaters for crisp evenings before earlier-fading sunsets. A few months back, I was in a conversation that deeply moved me. In front of me was someone who wept on hearing me tell of the death of our first child. This was surprising — shocking, really — because up to that point it had been so uncommon a reaction. After all, we do not like to discuss these things, lest we make others uncomfortable. For whatever reason, we tend to prefer silence when it comes to death, especially the relatively invisible and all too common death of children who die before birth. And yet, here I was, in the fullness of grief, having met an unexpected and particularly rare form of heart-felt compassion. It was in the course of that conversation, that I was asked to return that favor by writing a letter to women in similar circumstances. A surprising wave of separate, similar suggestions has followed since then, and each of them has progressively taught me the depth of the need that exists, and the extent of what needs to be said. Here, honoring these requests, this letter is offered to those who know the tragic and yet deeply purifying experience of loosing the most precious gift we are given to treasure on this earth: the physical life, however brief, of another soul, — that of our children, those who are none other than our very own flesh and blood. No mother expects to live through the death of her child, whether the tragedy unfolds, as it often does, in the death of a child before birth in a ‘miscarriage’, or whether one receives a fatal pre-natal diagnosis, or lives through the brutally hard pain of stillbirth or early infant death, or the tragedy of accident or terminal disease in early or later life. And no father is prepared for this loss either, for the powerful waves of grief that follow in the woman he loves, and in his own heart as well. 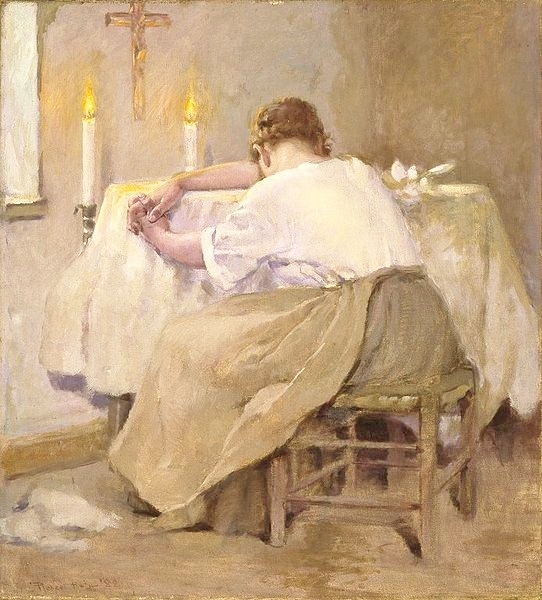 It is critically important, therefore, that those of us who have lived through this harsh reality, and bear its effects on a daily basis, take on the maternal and paternal mission to speak of our hidden love, a love known only in grief, so as to offer to others the olive branch which unites their grief with affection, and so becomes healing balm to the broken-hearted. True charity demands no less of us. First and foremost, I am so sorry. I am so sorry that you have lost your child. I am so sorry that death comes so suddenly. I am so sorry that you have to face it, possibly alone. I am so sorry that our bodies play so real a role in this loss. I am so sorry that you have no words. I am so sorry that this is so tragic. I am so sorry that your heart is pierced with so hidden a pain. I am so sorry that life can be so very hard, and that you are paralyzed by grief. I am so sorry that so few know, and fewer still know what to say. I am so sorry that so much of what is said to you is so wrong. I am so sorry that few understand the immensity of this loss. I am so sorry for you, and for those who love this child as you do. And I am so sorry to know that the agony of sorrow you live is real, because I was so sorry to live it myself. For many of us there is no body to bury, only remnants of a life that the medical community flippantly calls pregnancy material. In the harsh anonymity of pretended non-existence, there is no birth certificate, sometimes no name, no death certificate. There is no Baptism, for those who desire it for their own; often no possibility for a funeral, only hidden rites of prayer few even know exist. I remember hearing for the first time, that a Mass for children who have died before birth exists in the Roman Canon of Funeral Rites, and recall the moment I realized that this was perhaps the first formal acknowledgment of the hidden life I carried and had seen end. There are often no memorials, no flowers, or notes of condolence, no graves to visit, unless, of course, in the depths of our pain we fight for the right to have the remains of the children we bore. All this and more is as salt seared into deeply aching wounds; it makes them burn with the fire of painfully trampled love. The pain you know is real, piercing, shattering, deeply unsettling, and it stops us in our tracks when we least expect it, singeing the heart. You will feel it as you walk down the street, when you see another’s child; as you find out a friend is expecting; when you are out to brunch and friends talk about the many challenges and sacrifices inherent in parenthood; in your place of work when people say they will wait to have kids; on Facebook when someone dear to us posts a picture of their stunning family, or on a faraway beach shoreline when we see kids splash freely in the waves; you will feel it as, on your knees, you pray to be spared the agony; it comes when you go to bed and realize there were once two of you, or three, or more, in that home of yours. The pain is relentless, and real. If this is your first-born child — yes, born, because every child-loss is a birth of a kind, since we give birth to a child who tragically no longer lives — then the agony is multiplied. There is nothing like experiencing maternity and child-loss for the first time and simultaneously. There is simply nothing like it. And no matter what others say, there is simply nothing like it. And because there is simply nothing like it, little can be said about the nature of this singularly piercing pain. Yes, this pain will come as a thief in the night. It will take away your peace if you let it; it will drag you into the harsh darkness of the misery of loss. And it is there that we can choose to be alone in anguish, or realize that in the very heart of that misery what we possess in its fullness, what we are seeing, is the hidden face of love — a love so pure, so real, so very maternal, that it defies description and demands everything of us, to the very last poverty of tears. For the one privilege in loss, is the deeply real encounter with the depths of the mystery of love. So, yes, there is hope. However, this realization, this encounter with the mystery of the love we access through your own heart-wrenching grief, will not come overnight, and its treasure of revelations will not be easily disclosed. We need help, a lot of help. The breath of the work that needs to take place in the depths of our hearts is significant, and its extent can only be understood in hindsight. Unfortunately, this is a very bad time to have to do more work. The natural inclination is to give up; the burden, too heavy, the will, weakened by shock. For a while we simply flat-line. We will be in a place where we are paralyzed by shock. This is natural in us; a ‘built-in’ protection for us at a time when any move, any decision is to be stalled. The paralysis of shock is so strong it may even block our grief. The tidal wave pauses for an instant at its peak before it crashes down to fill the depths. We do the same in responding to tragedy and death: disbelief precedes the full-on surge of pain. It is precisely at this tipping point that it is critical to choose to hope, for the pain will sadly surely come, and when it does, however long it takes (it does sometimes take months, or even years), it will be heavy. The task of charity in cases like this, is for those we know not to diminish the pain, but to embrace it, in all its brutality, with us. True compassion — the capacity to enter into the passion of another, to share in the full burden of their suffering — is the only acceptable response here. And yes, it is a rare one. To find it, is to find a treasure of multiplied love that extends beyond the limits of comfort, and chooses to bear the incredibly heavy burden of our suffering with us. In so doing, this activated charity restores, albeit very differently, the union death has severed. The glue of charity has this much power. It’s fullness is the free offering of one’s very being for another. Here sacrifice is redefined, and the fruit of this sacrifice is a restored hope in those of us who suffer. While every experience of loss is individual, the overarching correspondence between them all is that we are made for union. When union is severed, as it radically is in the visceral separation death brings to a mother and her child, what takes place is unnatural in the order of our physical life, and supernatural in the order of our spiritual life. The restored hope, brought about in us by real compassion, is the hinge on which rests the possibility of a new union — a re-union played out on the level of souls. No one can give us back our children who no longer live, but we can certainly learn to love them differently; physical union is replaced by the spiritual oneness of souls from which a fruitful love is newly born in death. Our maternity will not die. The death of a child, even the death of a first and only child, is not the death of our maternity. Maternity, that unique desire for fruitfulness, expressed often in the particular care of living children, is not limited to the physical generation and rearing of these children. The most comforting words given to me on the death of our first-born were the words ‘You are a mother now; you will always be a mother’. These are daring words to offer a woman who has known a most intimate, almost personal death; so very personal is the death of one’s child. And yet they are true. They remain imprinted in my memory and engraved in my heart as the very voice of that child’s first cry would have been. I remain forever grateful for them. They are the fundamental and deeply necessary acknowledgment of the real existence of that hidden life — the life of our child — and of the real maternal love that was born into the world the moment her soul was conceived into being. Every new life, no matter how brief, is received with a powerful and pre-existing maternal love. I say pre-existing, because in desiring them, we love our children before we even bear them in body, and we love them ever more strongly once they no longer live. This is the high dignity of maternity. And death has no power over it. It will simply not be crushed. The only form of this unconditional, pre-existing love, over which death has no power, is divine. Fundamentally human maternity and paternity resemble a divine fruitfulness: lavish, generative, sacrificial, and powerfully transforming. Maternal grief is likewise a mirror on which is reflected that particularly sensitive love of the Christ-God, who in seeing the Widow of Naim lose her only son, sees in her grief-stricken face on that funeral procession, the image of His own Mother on the hill of Calvary, and is deeply moved with pity: He raises her son from the dead. Death is real, and Christ also weeps. If this is not consolation for us, little else will be. He knew the price of love was not only the offering of His own life, but also the agonizing sorrow of His Mother. In the economy of divine generosity, where nothing is wasted and all is gained, He accepted even this. This generosity is saturated in mystery — it is complex in nuance and richness — it can be deeply consoling. Christ, being God, could have spared Himself and His own Mother. But because He chose not to, and accepted death for our salvation, now every human mother can see herself reflected in the grief-stricken face of the Virgin Mother beneath the Cross, whose offering of her very Son, won salvation for the children He would entrust to her in His death; a multiplied fruitfulness lavished in the agony of loss, a spiritual maternity born of blood and tears. Death is common even to Christ who is God. In becoming Incarnate, He took on our likeness in its fullness, to its finality. As we know, the story does not end on the beams of the Cross. In order to receive all this as consolation in the heart of grief, the will to believe, the choice to believe, is first necessary. This is not the faith we instinctively profess in good times. It is a paradoxical faith drenched in lament. It is a faith purified in the fires of privation, tossed about by loves that are sometimes stronger than our wills; faith turned inside out to reveal the finer inner lining of that belief that is first-born of a choice, and sustained only by a gratuitous abundance of grace. Grief is a portal to this faith. For some, it is the strangely necessary portal. Sometimes we need to experience the full profundity of human love, tested in privation and severed by physical death, to gain a glimpse of that far stronger and everlasting love, that spiritual love to which we are called — the very Love through which we are sustained. In this particular suffering, the suffering of child-loss, all too common as it is, the human heart is given two treasures: the fruitfulness of a brief physical maternity, and the privileged kind of love that transcends the purely physical and becomes the vision of love’s hidden face. It seems cruel to say to another who is in the travail of sorrow and grief, that their loss is somehow a gain. But it would be a lie not to. Obviously, prudence should dictate when and how to propose this ‘good’ news, and yet, it must be offered, because it is true. The harsh reality of child-loss leads us to know that love which death cannot divide, and only strengthens. We see it similarly manifested in the human interactions of those we are closest to: when someone dear to us moves far away, friendship is often more keenly felt; love of family is experienced strongly through the longing for reunion in distance. This is the kind of desire that develops, suddenly, spontaneously in deep grief. Grief is the response of directed love — love for a person. And it is precisely because of this, that grief is not a waste, but rather the way to a more intense and deeper closeness — a longer lasting union. In the death of our children, our life here and now becomes a foretaste of that union of holy souls given to the saints. Built into the miracle of these hidden lives, is the fact that what we gain from them, through the privation of physical closeness, is that powerful desire for heaven-bound reunion. This is truly the miracle of the hidden maternity and paternity which we experience in child-loss, and it is all an irreplaceable and privileged gain. Believe then, that life — eternal life, conquers the darkness of death! Believe that the better days are coming. Believe in the goodness and infinite mercy of the One who can do for our children more than we could ever have hoped to offer them ourselves! Believe that unless we become like these hidden little ones, we will not know the splendors of the kingdom prepared for us. Believe that the little ones are interceding for this union of loves now physically divided to become a union then spiritually united. Believe the vision of the hidden love you know, is the veiled vision of the eternal Love that awaits. Believe! For anything else would be misery — and those who possess treasure cannot know misery. Believe that beyond the seemingly squandered and endless tears, is the shower of grace that gives far more than the immensity of what is lost. And believe that the immensity of what is gained is cause for joy — that boundless, magnificent joy of united love which is what God Himself wanted to lavish in becoming man, Incarnate among us. Have courage, then, my friends! For the promise is not in vain, and God cannot lie. Courage, in the dark night of pain. Courage, to speak of our hidden love for these hidden souls. Courage, to make the leap of trust that such great love demands. Courage! For the days are coming when every tear will be wiped away, when death will be no more, nor sorrow — but joy, boundless and full; an everlasting union of love. Courage, ‘for the sufferings of the present time, do not compare to the glories yet to be revealed’. Amen.